I just found out about an African American Experimental Fiction Writer by the name of William Demby earlier today . He died a few weeks ago and I was astonished by his resume after reading it. There are not many writers from the African Diaspora considered as Experimental Fiction Writers. I’m glad that I now know his name and will be purchasing both of his books. It helps when you find folks in the world that have come before you, and set up a stage for others to continue their own unique look at life and write without any inhibitions about how the work will be received. William Demby, whose novels, written while he was an expatriate in Italy, challenged literary conventions and expectations of what a black writer should write about, died on May 23 at his home in Sag Harbor, N.Y. He was 90. His first novel, “Beetlecreek,” published in 1950 while he was living in Italy, described the unexpected relationships that develop among a reclusive white man, a black teenage boy and others in a small Southern town. Some critics called the book disjointed, but many praised Mr. Demby for the depth of his characters. Mr. Demby, who lived outside Florence in a villa his wife had inherited, spent the next several years writing freelance magazine articles as well as doing film translation work while working on his second novel. 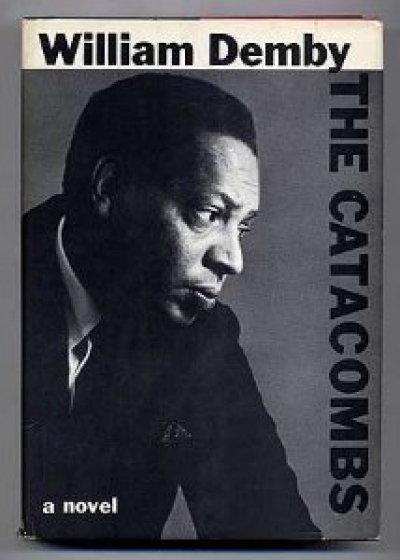 That novel, “The Catacombs,” was published 15 years after “Beetlecreek.” It was an experimental blend of fiction and nonfiction in which one of the main characters, a man named Bill Demby, writes a book about a black actress named Doris who grows weary of him. The narrative, interspersed with newspaper clippings, philosophical detours and stream-of-consciousness observations, confounded some critics. “Impatience sets in for this reader as much as it does for poor Doris,” Peter Buitenhuis wrote in a review in The New York Times in 1965. But others were impressed, and some said Mr. Demby was criticized in part because he did not focus primarily on racial issues. The critic Robert Bone, writing in The Times in 1969, called “The Catacombs” “one of the two important black novels of the 1960s,” along with “The Chosen Place, the Timeless People,” by Paule Marshall. William Edward Demby Jr. was born on Dec. 25, 1922, in Pittsburgh. His father worked for a gas company and sang in a gospel group. His mother, whose lineage was partly Native American, was a schoolteacher. After Mr. Demby graduated from high school, his family moved to Clarksburg, W.Va. He briefly attended West Virginia State University before he was drafted into the Army during World War II. He served in North Africa and Italy and wrote for Stars and Stripes, the Army magazine. Soon after receiving a bachelor’s degree from Fisk University in Nashville in 1947, Mr. Demby returned to Italy, where he met Ms. Drudi in 1950. She died in 1995. During the ’50s he wrote dispatches on the civil rights movement for The Reporter magazine, published in New York. His second wife and son are his only immediate survivors. He met Ms. Morris, a former lawyer for the N.A.A.C.P., at Fisk, and they married in 2004. In 1969, Mr. Demby began teaching English at the College of Staten Island of the City University of New York, though he continued to spend part of his time in Italy. He retired in the late 1980s.